WP_Query Object ( [query] => Array ( [post_type] => post [orderby] => modified [ignore_sticky_posts] => 1 [post_status] => publish [cat] => 2102 [paged] => 0 [posts_per_page] => 9 [tax_query] => Array (  => Array ( [taxonomy] => timeline [field] => term_id [terms] => 374 )))[query_vars] => Array ( [post_type] => post [orderby] => modified [ignore_sticky_posts] => 1 [post_status] => publish [cat] => 2102 [paged] => 0 [posts_per_page] => 9 [tax_query] => Array (  => Array ( [taxonomy] => timeline [field] => term_id [terms] => 374 ))[error] => [m] => [p] => 0 [post_parent] => [subpost] => [subpost_id] => [attachment] => [attachment_id] => 0 [name] => [static] => [pagename] => [page_id] => 0 [second] => [minute] => [hour] => [day] => 0 [monthnum] => 0 [year] => 0 [w] => 0 [category_name] => baby-dove [tag] => [tag_id] => [author] => [author_name] => [feed] => [tb] => [meta_key] => [meta_value] => [preview] => [s] => [sentence] => [title] => [fields] => [menu_order] => [embed] => [category__in] => Array ( )[category__not_in] => Array ( )[category__and] => Array ( )[post__in] => Array ( )[post__not_in] => Array ( )[post_name__in] => Array ( )[tag__in] => Array ( )[tag__not_in] => Array ( )[tag__and] => Array ( )[tag_slug__in] => Array ( )[tag_slug__and] => Array ( )[post_parent__in] => Array ( )[post_parent__not_in] => Array ( )[author__in] => Array ( )[author__not_in] => Array ( )[posts_per_archive_page] => 9 [suppress_filters] => [cache_results] => [update_post_term_cache] => 1 [lazy_load_term_meta] => 1 [update_post_meta_cache] => 1 [nopaging] => [comments_per_page] => 50 [no_found_rows] => [taxonomy] => timeline [term_id] => 374 [order] => DESC )[tax_query] => WP_Tax_Query Object ( [queries] => Array (  => Array ( [taxonomy] => timeline [terms] => Array (  => 374 )[field] => term_id [operator] => IN [include_children] => 1 ) => Array ( [taxonomy] => category [terms] => Array (  => 2102 )[field] => term_id [operator] => IN [include_children] => 1 ))[relation] => AND [table_aliases:protected] => Array (  => wp_term_relationships  => tt1 )[queried_terms] => Array ( [timeline] => Array ( [terms] => Array (  => 374 )[field] => term_id )[category] => Array ( [terms] => Array (  => 2102 )[field] => term_id ))[primary_table] => wp_posts [primary_id_column] => ID )[meta_query] => WP_Meta_Query Object ( [queries] => Array ( )[relation] => [meta_table] => [meta_id_column] => [primary_table] => [primary_id_column] => [table_aliases:protected] => Array ( )[clauses:protected] => Array ( )[has_or_relation:protected] => )[date_query] => [request] => SELECT SQL_CALC_FOUND_ROWS wp_posts.ID FROM wp_posts LEFT JOIN wp_term_relationships ON (wp_posts.ID = wp_term_relationships.object_id) LEFT JOIN wp_term_relationships AS tt1 ON (wp_posts.ID = tt1.object_id) WHERE 1=1 AND ( wp_term_relationships.term_taxonomy_id IN (455) AND tt1.term_taxonomy_id IN (3412) ) AND wp_posts.post_type = 'post' AND ((wp_posts.post_status = 'publish')) GROUP BY wp_posts.ID ORDER BY wp_posts.post_modified DESC LIMIT 0, 9 [posts] => Array (  => WP_Post Object ( [ID] => 412079 [post_author] => 281465 [post_date] => 2016-11-14 21:30:46 [post_date_gmt] => 2016-11-14 16:00:46 [post_content] => It’s time to share your skin secret with your baby. All this while, we have been enjoying smooth, moisturized skin thanks to the beauty brand Dove. 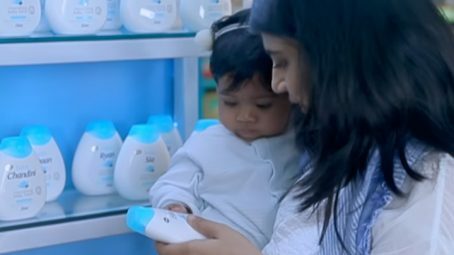 Now, we can pass on the benefit to our babies as well, as Dove has entered the baby care category by announcing the launch of ‘Baby Dove’ in India. India is the only country after Brazil to have Baby Dove available in its market. The brand promises to go beyond mildness to replenish essential moisture. At the launch event in Mumbai, Prabha Narasimhan, Vice President Skincare - Hindustan Unilever, said: “We are excited to bring Baby Dove to India after a highly successful launch in Brazil. The brand also signifies the entry of Hindustan Unilever in the baby care category. “At Baby Dove, we believe that mildness alone is just the first step to protecting a baby’s delicate skin. Our aim is to go beyond mildness and ensure that the lost moisture is replenished, thereby providing superior care. 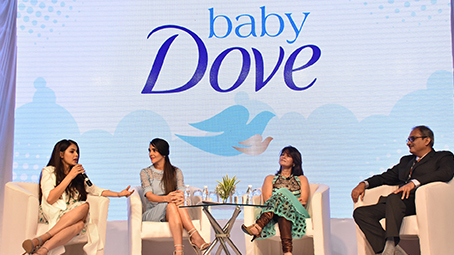 We strongly feel that the Baby Dove campaign resonates with moms globally, and we have set out to reassure moms that they know what’s best for their child.”Genelia Deshmukh unveiled the product range alongside mommy influencer Tara Sharma. Here’s what she had to say, “Being a loving mum of our two little kids, I am excited to find a brand like Baby Dove that shares the same beliefs as I do. I often say 'No one gets more advice than a pregnant woman and a new mum! It is important I think to trust one's maternal instincts and do what works for you and your child and family. Each child, each parent, and each family is different. Baby Dove says just this and they also advocate that one should not feel pressured to be a perfect mum as there are no perfect mums, only real mums!”Baby Dove: The Product RangeDove has built on its near 60-year heritage of moisture, mildness and care to develop cleansers enriched with its iconic ¼ moisturizing cream and patented technology to protect the skin’s natural barrier. Dermatologist tested, and pediatrician tested, Baby Dove contains two ranges with products formulated with cleansers and moisturizers that uniquely replenish essential nutrients and are hypoallergenic and pH-neutral for all babies’ skin types.Developed for babies with normal to dry skin, the brand has launched two ranges: Baby Dove Rich Moisture and Baby Dove Sensitive Moisture. New Baby Dove’s Rich Moisture range has been developed for babies with normal to dry skin. It includes the Baby Dove Rich Moisture Baby Bar, Lotion, Diaper Rash Cream, and Baby Wipes. The survey has brought out so many insights, and as a mother, we are sure that it strikes a personal chord with all of you. A key takeaway and a message to mothers across the country is to trust your way as there is no right or wrong way. Remember everyone, no perfect moms, and only real moms.You can buy Baby Dove products here.To know more about Baby Dove, click here. [post_title] => Baby Dove Takes Its First Steps In India [post_excerpt] => [post_status] => publish [comment_status] => open [ping_status] => closed [post_password] => [post_name] => baby-dove-takes-first-steps-india-2 [to_ping] => [pinged] => [post_modified] => 2018-06-11 12:43:37 [post_modified_gmt] => 2018-06-11 07:13:37 [post_content_filtered] => [post_parent] => 0 [guid] => http://www.momjunction.com/?p=412079 [menu_order] => 0 [post_type] => post [post_mime_type] => [comment_count] => 0 [filter] => raw ) => WP_Post Object ( [ID] => 415146 [post_author] => 1 [post_date] => 2017-01-11 11:52:08 [post_date_gmt] => 2017-01-11 06:22:08 [post_content] => The New Year is here and that means a mommy has a long to-do list. Prepping the house, getting the family dinner in place, finding gifts for the family and friends and specially the little ones.From booties and tiffins to onesies, we mommies personalize almost everything in our baby’s life then why not their own personal skincare products too. Your darling baby deserves the best of everything possible, which is why Baby Dove brings you the gift of personalized skincare in an adorable way, to make it extra special for your little one. Especially in the winters, when harsh conditions can do more damage than usual to your baby’s delicate skin.Check out this cute video by Baby Dove to find out how:https://www.youtube.com/watch?v=oWehjNGnw-QAren’t you all warm and fuzzy inside?A big shout out to all the mommies with January babies too, you know what you have to add to their birthday wish list now!Baby Dove is now here to take care of all your skincare needs with products that go beyond mildness to replenish essential moisture and nutrients in babies’ skin. With these new personalized packs by Baby Dove, moms can get on with motherhood their way and be confident of giving only the best to their little ones.A special note to all the mommies who shared the names of your babies with us!We are soon going to announce the winners of the Baby Dove contest and a few lucky mommies are going to receive this customized New Year surprise by Baby Dove!We hope you loved the personalized touch by Baby Dove this new year!You can buy Baby Dove products here.To know more about Baby Dove, click here. [post_title] => This New Year, Get Ready For The Ultimate Surprise For Your Little One! [post_excerpt] => [post_status] => publish [comment_status] => open [ping_status] => closed [post_password] => [post_name] => this-new-year-get-ready-for-the-ultimate-surprise-for-your-little-one [to_ping] => [pinged] => [post_modified] => 2017-09-26 19:09:16 [post_modified_gmt] => 2017-09-26 13:39:16 [post_content_filtered] => [post_parent] => 0 [guid] => http://www.momjunction.com/?p=415146 [menu_order] => 0 [post_type] => post [post_mime_type] => [comment_count] => 0 [filter] => raw ) => WP_Post Object ( [ID] => 423685 [post_author] => 281465 [post_date] => 2017-05-04 10:46:18 [post_date_gmt] => 2017-05-04 05:16:18 [post_content] => [caption id="attachment_423686" align="aligncenter" width="720"] Image: Shutterstock[/caption]Summer can be good and bad news. They are good because the days are long, the mornings are pleasant and the evenings relaxed. But they are not always enjoyable due to the heat and the effect it has on our body. When you have a baby at home, it is double the trouble.You need to make sure the little one is not affected by the extreme temperatures we have in India. You need to keep him hydrated, put him in loose and breathable clothes, and take every care about his diet.My baby is ten months old. And I make sure he has water regularly, I also give him fruit juices and buttermilk. He is in cottons all day long. But there is one more thing I am careful about, his skin. My baby’s delicate skin is as vulnerable to heat as it is to the cold.This means that I can’t relax even after the winter is over. On the contrary, I am bracing up for the summer. Some of the skin problems a baby can have during summer are:Prickly heat rash: Sweat causes these rashes that are tiny in size and reddish in color. Babies are likely to get them on the neck, back, armpit and the diaper area where they sweat. The rashes are itchy and they burn.Diaper rash: Babiesare prone todiaper rashes as the area is often covered, and thus sweat there more than other parts of the body. 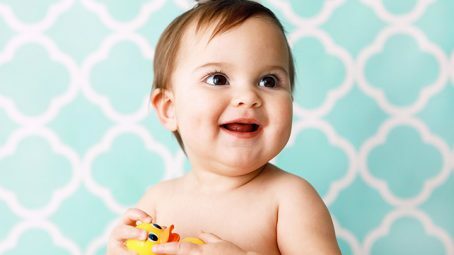 Diaper rashes are irritating, and the baby might refuse to wear a diaper or cover his bottom.Dry skin: Yes, your baby can have dry skin even in summer due to the dry, hot winds, especially in the geographical regions where the humidity is low.Flushed cheeks: The cheeks become red and blushed. And the babies retain that color for a couple of days.These skin irritations might look minor and are also not a permanent problem. However, the very thought that my baby has to live with them for three to four months (during summer) a year was worrisome.Then I realized that I need to keep the baby’s skin hydrated and fresh throughout the day so that sweat, germs, and infection do not stick to his skin and thrive. But how many times in a day can I give him a bath? Is it practical? Is it safe for him? No.Therefore, I found a simple solution. I bought Baby Dove’s Rich Moisture Baby Wipes.It effectively removes impurities while instantly moisturize my baby’s skin instantly, as the wipes contain glycerine.I use the wipes to clean the baby’s entire body, especially the neck, underarms, genital area, and the buttocks. The wipes are as gentle as water and suitable for as small as newborns so I know can use them on my baby’s face and hands too.Also, I clean the diaper area whenever I have to change the diaper. This keeps my baby’s skin clean, smooth, soft and moist.The best thing is I need not change my regimen even when I am travelling with my baby as the clean-ups are so easy that I can use them in the car itself. Simply pull the individual wipes and close the pack to retain the freshness of the other wipes.Let me also tell you that Baby Dove wipes are safe as they are hypoallergenic and alcohol-free. Also, they are dermatologist and pediatrician-tested for your baby’s safety.As a mother, I feel good if my baby feels good. I am elated if my baby is happy, and it amuses me to see him enjoying his growing up days. With Baby Dove Rich Moisture Baby Wipes, my summer worries for my baby are long gone. He and I can now have fun together even in this hot weather worryless and carefree.You can buy Baby Dove wipes here. [post_title] => This Product Has Helped My Baby Beat The Summer Heat! [post_excerpt] => [post_status] => publish [comment_status] => open [ping_status] => closed [post_password] => [post_name] => this-product-has-helped-my-baby-beat-the-summer-heat [to_ping] => [pinged] => [post_modified] => 2017-09-26 19:04:45 [post_modified_gmt] => 2017-09-26 13:34:45 [post_content_filtered] => [post_parent] => 0 [guid] => http://www.momjunction.com/?p=423685 [menu_order] => 0 [post_type] => post [post_mime_type] => [comment_count] => 0 [filter] => raw ) => WP_Post Object ( [ID] => 425303 [post_author] => 281465 [post_date] => 2017-06-06 11:31:08 [post_date_gmt] => 2017-06-06 06:01:08 [post_content] => [caption id="attachment_425305" align="aligncenter" width="720"] Image: iStock[/caption]Who is a perfect mother? Or rather, what makes a woman a perfect mother? A healthy baby, a baby who has the right weight and height, or a baby who eats and sleeps well? Since the time we have a baby, we painstakingly strive to be a perfect mother. But does such a mother really exist?I was also once an eager mother running towards perfection. I wanted to be there and do everything for my baby, right from feeding and bathing to playing with her and more. And then, I wanted to do everything perfectly. I didn’t want my daughter to lag in anything.It only left me exhausted, irritated and feeling hopeless. But time taught me a lesson: there is no perfect way of parenting but only your way.Here are some challenging moments in my motherhood that taught me that I should go by my instincts. Things may not be perfect but will, definitely, be fine. My baby was underweight: My daughter was born underweight. In the first six months, she was exclusively on breastmilk and grew well. But when she began having solids, her weight fluctuated. I was worried, and made frantic attempts to correct the shortfall. She was a fussy eater: My frantic attempts would have been fruitful had my daughter been an enthusiastic eater. On the contrary, she would not eat anything. She would spit out the formula, and refuse to drink any fruit and vegetable purees. The only option she gave me was breastmilk. I had to resume work: Breastmilk was not an option for me as I had to resume work after my maternity leave. Quitting a flourishing career was not an option too. I gradually introduced bottle feed and prayed to God that my little one accepts that as an alternative. Thankfully, my prayers were heard (by my baby) and she got used to the bottle. Now, quitting the bottle was a problem: I soon realized that my baby got so used to the bottle that she would wake up several times in the night and refuse to sleep unless she had milk from the bottle. She was teething, and I didn’t want the bottle milk to play truant with her teeth. I then tried replacing the milk with water. She was adamant in the beginning but I, too, was adamant. She finally relented, and the problem got resolved. Also resolved was my obsession with my daughter’s weight. She improved on her food habits, and grew reasonably well.5. When the baby products weren’t suiting her: My baby’s bath regime was as challenging as her diet, as she has sensitive skin. No product was suiting her because of their strong ingredients, and homemade bathing solutions were rough on her skin. When Baby Dove launched its products, I tried them just like any other product, but their Baby Dove Rich MoistureBaby Bar, Lotion, and Baby Wipes have now become our favorite products.Baby Dove’s range of products are created specially to leave your baby’s skin smooth and soft from the first use itself. They are hypoallergenic and their pH neutral formula respects skin’s natural pH balance. All their products are pediatrician and dermatologist-tested and are meant for daily use. Baby Dove’s wide range of products are the solution to all the skin related problems of your newborn.What’s more, Baby Dove’s philosophy is in sync with mine, because they too believe that there are no perfect moms but only real moms! Do you agree, mommies? [post_title] => I’m Glad My Motherhood Challenges Taught Me A Lesson [post_excerpt] => [post_status] => publish [comment_status] => open [ping_status] => closed [post_password] => [post_name] => im-glad-my-motherhood-challenges-taught-me-a-lesson [to_ping] => [pinged] => [post_modified] => 2017-06-06 16:51:23 [post_modified_gmt] => 2017-06-06 11:21:23 [post_content_filtered] => [post_parent] => 0 [guid] => http://www.momjunction.com/?p=425303 [menu_order] => 0 [post_type] => post [post_mime_type] => [comment_count] => 0 [filter] => raw ) => WP_Post Object ( [ID] => 425024 [post_author] => 281465 [post_date] => 2017-05-31 15:24:57 [post_date_gmt] => 2017-05-31 09:54:57 [post_content] => [caption id="attachment_425025" align="aligncenter" width="720"] Image: iStock[/caption]My daughter and I have a routine. The moment I hold her and walk towards the bathroom in the morning, she is overjoyed because she knows what happens next. I massage her and put her in the bathtub. She splashes to her heart’s content, and thus we bond while bathing.Then we move to the bedroom. As I lay her on the bed to wipe and dress her, she knows that it is followed by moisturising, putting on her diaperand dressing her. Guess she loves it too, as she is all smiles. Probably, she must also be appreciating my dress sense for her!Doesn’t my baby’s bath routine sound picture perfect? But it was not like this always. Earlier, she would refuse to take a bath as she had rashes on the diaper regionand the moisturising cream wasn’t suiting her. She couldn’t sleep at nightas the irritation on her bottom, and we couldn’t put her to sleep without a diaper.Not just that, her skin and hair would get dry, making her scratch everywhere. It was nightmarish for me, as I tried almost every trick (read product), but still things didn’t work out.So, how did it all take a turnaround? It all changed when Dove launched its Baby Dove range. I was glad my favorite brand, which I have used for myself, came up with the baby version as well.This is how I make the most of Baby Dove:Pre-bath ritual: Igive my little one a body massage. She loves it, especially when I am massaging her back. After leaving her to relax for 10-15 minutes, I take her to have a bath.Bath: I use Baby Dove’s Sensitive Moisture Baby Bar as my daughter’s skin is sensitive. It is hypoallergenic, ophthalmologist, dermatologist and pediatrician tested and is milder and more moisturising than traditional baby soaps. The brand also has the Baby Dove Rich Moisture Baby Bar. Unlike the normal soaps, Baby Dove bar leaves my daughter’s skin smooth and soft. Even after wiping, her skin doesn’t get dry. It just removes the oil (I used for massage) and the dirt from her body, but not the moisture. And I am not surprised because the bar contains one-fourth of moisturising cream.Both the baby bars replenish essential moisture and nutrients lost during the bath and keeps your baby’s skin soft, supple and delicately scented.Moisturising: Immediately after the bath, I wipe her and apply Baby Dove’s Rich Moisture Baby Lotion. And this I do as soon as I pat dry her body in order to lock in the moisture her skin lost while bathing. This is kind of a double moisturising – from the bath soap and the lotion.The lotion is pH neutral and has a mild fragrance that keeps my baby and her skin happy. What I love the most about this product is that it treats dry skin and keeps it hydrated for 24 hours, soothes dry skin from the first use and is clinically proven to minimise allergy risks making it hypoallergenic.Diaper care: The diaper region is the most important part of a baby, and probably the most vulnerable to infections. As it remains closed all day and tends to get wet, we need to make sure it doesn’t become a breeding ground for bacteria. I apply Baby Dove’s Rich Moisture Diaper Rash Cream on any minor rashes or blemishes on my daughter’s bottom. It provides instant comfort from the first use, and immediate protection from the diaper rash, soothingmy baby’s skin to leave it soft and smooth. It is developed for baby’s delicate skin and ideal for daily use. This gives her a soothing feeling, while I can relax that those slight rashes don’t grow to become painful.Regular wiping: My baby’s cleaning ritual is not limitedto her bath. She pees frequently and poos more than twice a day. It means I need to change her diapers several times. Every time I clean her bottom, the skin becomes rough and dry. To avoid this situation, I use Baby Dove’s Rich Moisture Baby Wipes, which are as gentle as water, moist and soft. They retain the moisture in her skin but leave her feeling fresh.The wipes are handy in every season. In summer, I clean her underarms, neck and other areas whenever my daughter sweats. In winters, I can wipe her body without worrying about making her skin dry.Thus, goes my baby skin care routine every day.Let me tell you here that all the Baby Dove products are hypoallergenic, which means they don’t lead to allergies. They are all tested and approved by pediatricians and dermatologists. In fact, the baby bar is tested by ophthalmologists as well!All the products come in Rich Moisture range, whereas the Baby Bar has both Rich Moisture and Sensitive Moisture range, which means that they are customized to the baby’s requirements.In short, Baby Dove has come like a blessing to me and my baby as well. I no longer worry about the side-effects of baby products and my daughter does not have to suffer from burning eyes, dry skin, and irritating diaper rash.Sounds tempting? You can buy Baby Dove products here. [post_title] => Why My Baby And I Love The Baby Dove Range [post_excerpt] => [post_status] => publish [comment_status] => open [ping_status] => closed [post_password] => [post_name] => why-my-baby-and-i-love-the-baby-dove-range [to_ping] => [pinged] => [post_modified] => 2017-06-01 15:04:51 [post_modified_gmt] => 2017-06-01 09:34:51 [post_content_filtered] => [post_parent] => 0 [guid] => http://www.momjunction.com/?p=425024 [menu_order] => 0 [post_type] => post [post_mime_type] => [comment_count] => 0 [filter] => raw ) => WP_Post Object ( [ID] => 424881 [post_author] => 309381 [post_date] => 2017-05-26 15:49:17 [post_date_gmt] => 2017-05-26 10:19:17 [post_content] => [caption id="attachment_424882" align="aligncenter" width="720"] Image: iStock[/caption]This tiny munchkin who arrives into your world sure brings a lot of joy in life. Besides, he also tests your decision-making ability. Wondering what I am talking about? Deciding on the right skin care product can be one of the toughest decisions you make as a new mother.The first time around with my child, I panicked about every single thing for my baby, right from choosing a soap to a crib. And when it came to caring for my baby's sensitive skin, I was in a perpetual dilemma.While my mom convinced me to use the good old gram flour with milk cream to smoothen his skin, I wasn’t sure, as I was worried that he might develop rashes on his skin.Being the tech savvy mom that I am, I did my research and Googled for all baby care products I could find, and then I discovered the right skin care for my baby, that is BabyDove. Along with Baby Dove, I also discovered a lot of information I was not aware about. Choose the right products: There are plenty of baby skincare products out there, but finding the right one for your child can be tricky. Things you need to look out for are mildness and essential moisture and nutrients. The one that suited my baby perfectly is the Baby Dove range – it offers special care for baby's delicate and sensitive skin like no other product. Baby Dove Rich Moisture Baby Bar has a hypoallergenic and pH neutral formula that’s dermatologist and pediatrician tested. The Rich Moisture Baby Bar restores your baby’s skin with essential nutrients lost during bathing, in just a matter of few seconds. The Rich Moisture Baby Bar comprises one fourth moisturising cream, leaving your baby’s skin soft, nourished, and delicately scented. Regular diaper changes: Change the diapers regularly. Diaper rash is a common problem in newborns, but is easy to prevent. It's important to keep the diaper area clean and dry. After you clean, wipe the moisture with a soft towel, expose your baby's bottom to air, let it dry, and apply Baby Dove’s Rich Moisture Diaper Rash Cream to prevent the rash. It worked wonders for my baby; the rash never appeared ever again. Baby Dove’s Rich MoistureDiaper Rash cream contains skin protectants and neutralizes the pH faster, immediately forming a protective layer that shields your baby's delicate skin, thereby preventing redness and irritation. It is specially formulated to spread and wipe off easily; it helps you out at home and with on-the-go changes. Hypoallergenic and suitable for daily use, the cream has been developed with your baby's beautiful skin in mind. It protects the skin from redness and irritation. Baby Dove Rich Moisture Diaper Rash Cream will leave your baby's bottom soft and rash-free. Baby friendly clothing: Your baby's comfort is the number one priority. So, make them wear comfortable clothes. Choose soft and light clothes in which they can sleep blissfully. Don't put on tight clothes or fancy ones just because he looks cute in them. Dress him according to the season; organic cotton is the best for summers. 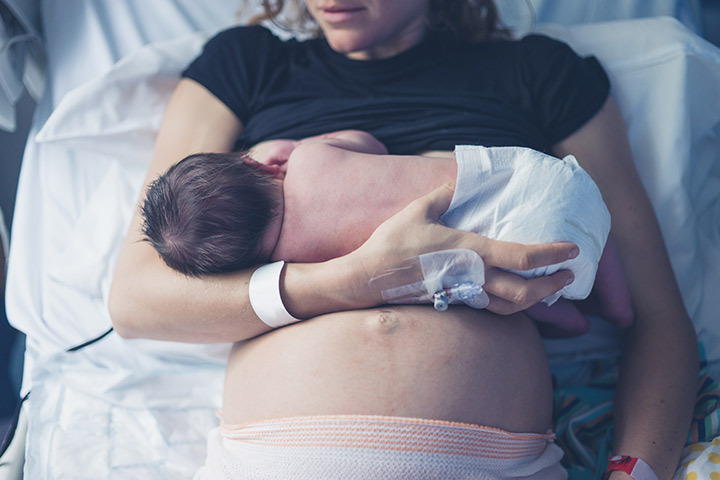 When I didn’t get my baby for the first skin-to-skin: My baby was born four weeks ahead of the due date. He was moved into the incubator immediately after the initial tests. It was strange that the doctor didn’t find the first skin-to-skin and breastfeed necessary. I insisted that I want to be with the baby, hug him and feed him. The nurse tried to talk me out but I wouldn’t listen. Back then I didn’t know about colostrum and now I am glad that I went by my instinct. When my baby had jaundice: My son had jaundice after his birth. The hospital suggested that he should be put under phototherapy. Being an advocate of natural therapies, I wasn’t happy but agreed to them reluctantly. My baby was put under the light, bare-bodied and blindfolded. That was an unbearable sight for me. I couldn’t see my new born being left like that, away from me. Then I talked to the doctor, took my little one home and religiously followed the sunlight therapy for the next few days until the jaundice was gone. Frequent spitting up: Every time my son had a breastfeed, he would spit-up. It was disturbing as he wouldn’t get the required amount of nutrition. Burping wasn’t working. When we saw a pediatrician, he termed it acid reflux. The only thing I did was to keep him upright after every feed. In fact, even when feeding him, I would keep him as vertical as possible. After a month of my efforts, the acid reflux disappeared much to our relief. The food restrictions were hard on my body: New motherhood is not just about the baby but the mother too. The traditional practice in my region has been to feed the mother only with heat-generating foods. After eating those heavily heat-generating foods, I began having problems with urination. Then I deviated from the norms and began taking steps to cool down my body. A couple of days of following my routine and everything was fine. 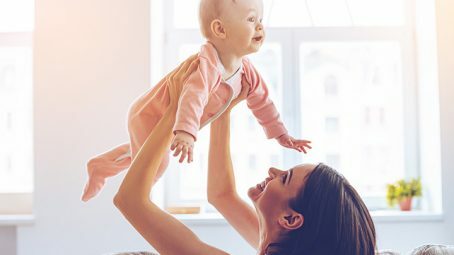 When I moved away from the traditional baby products: As a follower of natural practices, I decided not to opt for any baby products for my baby to keep him away from toxins and chemicals. For the first month, I stuck to natural ingredients. But then, my baby started developing rashes because of the bath powder. When I was fanatically searching for alternatives, I came across Baby Dove. To begin with, I tried their Rich Moisture Baby Bar, and I was so impressed with their quality and care that I now use their entire range of products -- Rich Moisture Baby Lotion, Rich Moisture Baby Wipes and more. Baby Dove products are hypoallergenic and are pH neutral, keeping unnecessary allergies at bay. Baby Dove products comprise one-fourth moisturising cream to keep your baby’s skin smooth and soft from the first use itself. What’s even better is that these products are safe and developed for daily use. 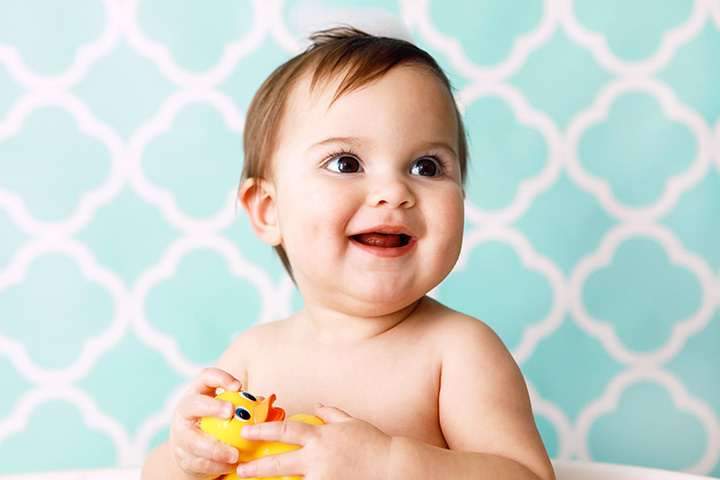 Baby Dove products are also dermatologist and pediatrician-tested. A mother’s journey is not a fixed, well-laid path. It is all thorny and haphazard. You do not know when your baby might spring a surprise on you. And you can face them only through your motherly instincts.Baby Dove recognizes the unique ability of the mothers to go by their instinct. The brand is a voice of encouragement to all the mothers. And it believes that there are no perfect moms but only real moms. To know more about Baby Dove and it’s range of products click here. [post_title] => There Is No Right Way Of Parenting, Go By Your Instincts [post_excerpt] => [post_status] => publish [comment_status] => open [ping_status] => closed [post_password] => [post_name] => there-is-no-right-way-of-parenting-go-by-your-instincts [to_ping] => [pinged] => [post_modified] => 2017-05-25 19:58:05 [post_modified_gmt] => 2017-05-25 14:28:05 [post_content_filtered] => [post_parent] => 0 [guid] => http://www.momjunction.com/?p=424822 [menu_order] => 0 [post_type] => post [post_mime_type] => [comment_count] => 0 [filter] => raw ) => WP_Post Object ( [ID] => 423759 [post_author] => 309381 [post_date] => 2017-05-05 14:55:45 [post_date_gmt] => 2017-05-05 09:25:45 [post_content] => [caption id="attachment_423760" align="aligncenter" width="720"] Image: Shutterstock[/caption]Travelling with an infant is dreadful. Isn’t it? 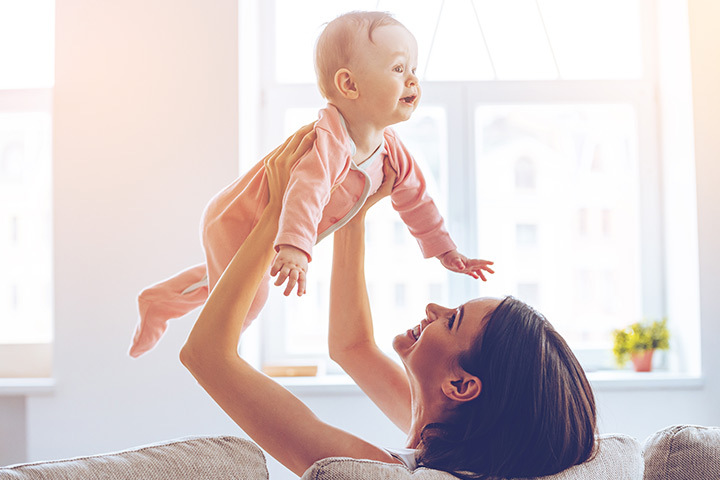 You would rather sit in the close confines of your home than take the baby out and get anxious with their unpredictable behavior. You do not know when and how often they would spoil their diaper, in what way their sensitive skin would react to the climate, and then the less said about their immunity the better.Moreover, babies seem to hate going to new places as they get cranky all the time and refuse to leave you even for a minute.Having said that, how practical is it to remain indoors for months together? Also, is it healthy? It is neither practical nor healthy. Therefore, we need to find a way to make our travel hassle-free. Plan in advance, and make a list of baby items that you cannot do without. Make sure you pack them all in advance, and if you do not have them, buy them in time.Also, you need to be careful in listing out the items as the little ones need a lot of stuff. 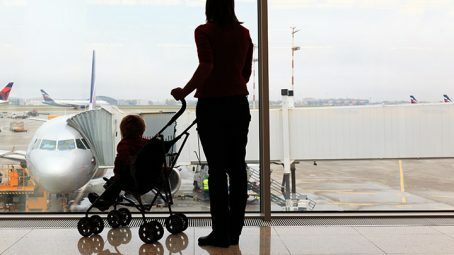 Here are ten things that will make your life easier when you are traveling with your little one. Diapers: Carry enough of them as you will need them in multiples, the baby needs to be in a diaper throughout the day and night. Also carry a changing sheet to put under your baby while changing the diaper. Blankets: Carry two or three; you will need one to lay your baby on and one to cover the baby. You might need one to cover yourself while breastfeeding. Diaper rash cream: Continuous use of diapers can cause a rash on your baby's skin. So, make sure you slip in diaper rash cream in your baby's kit. And not just any rash cream, use one that keeps your baby’s bottom moist and safe from infections. The Rich Moisture Diaper Rash Creamfrom Baby Dove protects your baby's delicate skin preventing redness and irritation. It is specially formulated to spread and wipe off easily; and helps you with on-the-go changes. Hypoallergenic and suitable for daily use, the researchers at Baby Dove developed the cream with your baby's beautifulskin in mind. It is dermatologist and pediatrician-tested. It neutralises pH in seconds and provides instant comfort from the first use.Baby Dove Rich Moisture Diaper Rash Cream will leave your baby's bottom soft and rash free. Hand sanitizer/disinfectant hand gel: This is important because you don't want to catch an infection and spread it your baby. And not all places that you visit are hygienic or have water readily available. So, carry tiny bottles of disinfecting hand gel, hand wash, and hand sanitizers. Baby lotion: Don't forget to moisturize your baby's skin irrespective of the weather, because your baby's skin is delicate and sensitive and tends to lose moisture five times faster than our skin So it needs nourishment. The one that takes care of baby's sensitive skin is Baby Dove’s Rich Moisture Baby Lotion. Its rich moisture content keeps your baby's skin moisturized up to 24 hours and replenishes his delicate skin. It makes your baby's skin soft and smooth. The baby lotion contains superior moisturization leaving your baby’s skin extra soft and delicately scented. It also contains a pH neutral formula that respects the skin’s natural pH balance. Baby shampoo: Your baby might need a daily head wash due to dust and sweat, especially if he has thick hair. It's also important to keep the hair clean. Use a mild shampoo that gently cleanses and nourishes your baby's scalp. 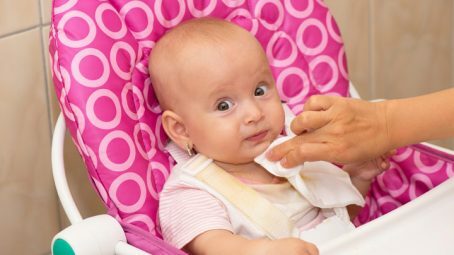 Baby wipes: Baby wipes are a must while traveling. Baby Dove’s Rich Moisture Baby Wipes effectively removes impurities while instantly moisturising (contains glycerine) baby’s delicate skin. They are also hypoallergenic and instantly moisturise your baby’s skin. Baby Dove’s Rich Moisture Baby Wipes are as gentle as water. The wipes will keep your baby's delicate skin soft and clean. Besides, they don’t cause any irritation as they are alcohol-free, leaving your baby's skin clean and comfortable. The safety-tested formula will naturally suit your baby’s needs. Plastic covers: You will need a lot of them – to put messy clothes, soiled diapers, used burp clothes. Carry different sizes to accommodate everything. Diaper bag: Trust me on this one. You need to have a separate bag for diapers because you don't want to dig for diapers in your travel bag, when you need one at that very moment. Baby travel kit: Don't mix up your baby's clothes with yours. Have a separate travel kit for your baby where you can fit his clothes, bibs, booties, and other baby accessories. That's not all, you will also need the following items. It comes in handy at the right time. 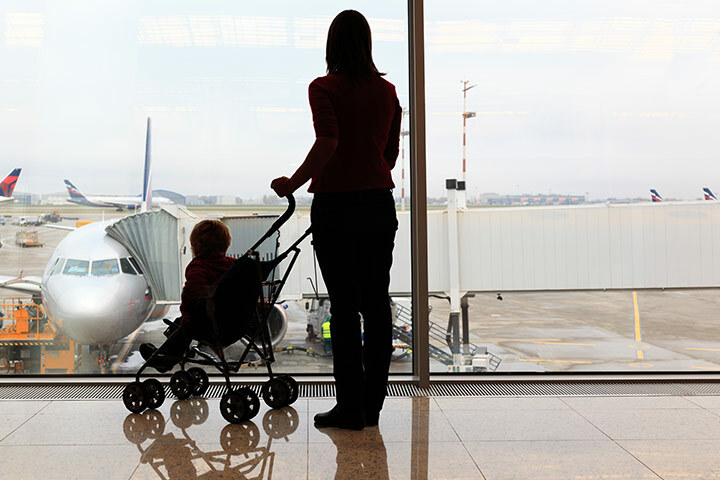 So, if there's travel coming up, don't fret, plan ahead and pack just what your baby requires. A little planning will help you a great deal.Do let us know if you think we have missed out on something.You can buy Baby Dove products here. [post_title] => Making Travel Plans With Your Little One? Here Are The Travel Essentials You Need To Take Along [post_excerpt] => [post_status] => publish [comment_status] => open [ping_status] => closed [post_password] => [post_name] => making-travel-plans-with-your-little-one [to_ping] => [pinged] => [post_modified] => 2017-05-23 18:17:04 [post_modified_gmt] => 2017-05-23 12:47:04 [post_content_filtered] => [post_parent] => 0 [guid] => http://www.momjunction.com/?p=423759 [menu_order] => 0 [post_type] => post [post_mime_type] => [comment_count] => 0 [filter] => raw ) => WP_Post Object ( [ID] => 424182 [post_author] => 281465 [post_date] => 2017-05-16 10:45:55 [post_date_gmt] => 2017-05-16 05:15:55 [post_content] => [caption id="attachment_424188" align="alignnone" width="720"] Image: iStock[/caption]I shut the door and wept. I wanted to sit in that room and wither away than go out and face the world. But there was somebody waiting for me there. I was all for him and he was dependent on me…Those were the initial days of my motherhood. It was like a kid getting a new teddy bear. 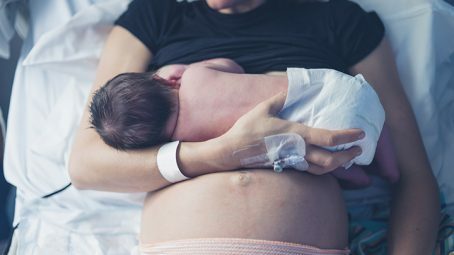 I loved the baby, I was amused at this tiny soul, I was elated to feel his tender skin but I didn’t know how to take care of him.The caretakers in the hospital told me I would get to know everything instinctively, as motherhood is a natural process. But I was not convinced. “Why can’t they be a little more practical,” I thought.Before I became a mother, I never dealt with a baby. I wouldn’t hold any baby for the fear of dropping or harming them. I was never a kids’ person, and I couldn’t relate to motherhood before I became a mother.Then suddenly, one day, I delivered the baby four weeks before my due date. It meant that I was still not prepared to welcome him into my life. He was born underweight. Once I was home after the delivery, it was all confusing because my relatives and friends would come up with innumerable suggestions.Hold the baby like this, don’t hold him like that; breastfeed him every hour, don’t breastfeed him so frequently; he should sleep with you in the bed, he should sleep in the crib. It was as if people were yelling into my ears. And yes, nobody would leave the house without remarking that the baby is ‘so thin’.It was all adding up to my stress, and then one day it peaked. I locked myself in my room. I felt worthless, I felt I can never do justice to my baby. I regretted bringing him into this world of insensitive people. I was a FAILURE.Just then I heard my baby’s wails. It sounded like he was calling me. He seemed to be telling me, “Mama, I love you, and I need you. You are the only person I need.” It was like The Calling for me.I wiped my eyes, and opened the door. The moment I saw the little one, I just melted. And that’s when I strengthened myself. I remembered what the caretakers in the hospital said: Motherhood comes naturally, and now I understood what they meant.I decided to shut my ears and mind to what outsiders and strangers have been saying. I tried following my heart and my motherly instinct. I did my share of right and wrong things. I was overjoyed when things worked out and I learnt a lesson when things didn’t work. You might call it a trial and error method, but I saw it as my resolve to do what I thought was right for the baby.It’s been six months now, and I am happy with what I have done. I am happy I took the right decisions. My baby is no more underweight; my pediatrician says the baby has covered up the weight gap miraculously. That coming from an expert fills my heart with pride, and makes me grateful to my son.It is not my story alone. It is the story of many such mothers out there, who have been fighting it out every day trying to strike a balance between the societal pressures and their motherly instincts.During my struggle to overcome my anxieties, I was introduced to Baby Dove and its range of products. Baby Dove recognizes the anxieties faced by mothers. The brand is a voice of encouragement to all the mothers. And it believes that there are no perfect moms but only real moms. Baby Dove gave me the strength to believe in myself!So, what is your real mom story? Let us know here. [post_title] => Dear Society, I Know What To Do To My Baby [post_excerpt] => [post_status] => publish [comment_status] => open [ping_status] => closed [post_password] => [post_name] => dear-society-i-know-what-to-do-to-my-baby [to_ping] => [pinged] => [post_modified] => 2017-05-17 11:32:08 [post_modified_gmt] => 2017-05-17 06:02:08 [post_content_filtered] => [post_parent] => 0 [guid] => http://www.momjunction.com/?p=424182 [menu_order] => 0 [post_type] => post [post_mime_type] => [comment_count] => 0 [filter] => raw ))[post_count] => 9 [current_post] => -1 [in_the_loop] => [post] => WP_Post Object ( [ID] => 412079 [post_author] => 281465 [post_date] => 2016-11-14 21:30:46 [post_date_gmt] => 2016-11-14 16:00:46 [post_content] => It’s time to share your skin secret with your baby. All this while, we have been enjoying smooth, moisturized skin thanks to the beauty brand Dove. 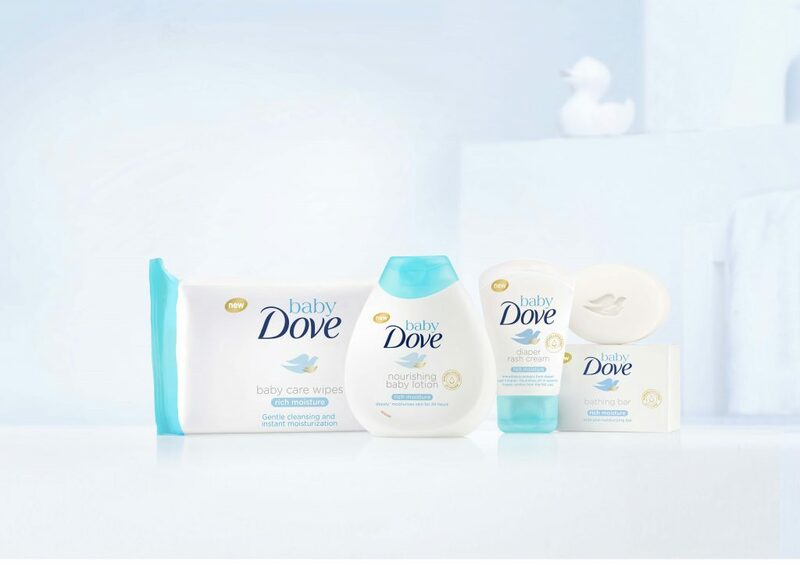 Now, we can pass on the benefit to our babies as well, as Dove has entered the baby care category by announcing the launch of ‘Baby Dove’ in India. India is the only country after Brazil to have Baby Dove available in its market. The brand promises to go beyond mildness to replenish essential moisture. At the launch event in Mumbai, Prabha Narasimhan, Vice President Skincare - Hindustan Unilever, said: “We are excited to bring Baby Dove to India after a highly successful launch in Brazil. 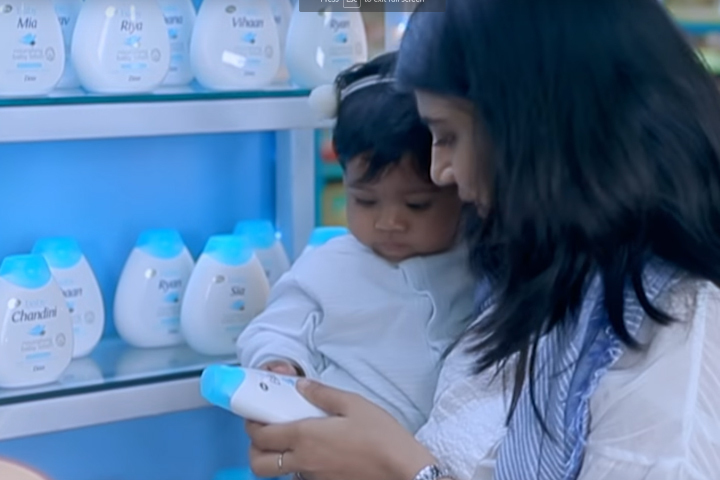 The brand also signifies the entry of Hindustan Unilever in the baby care category. “At Baby Dove, we believe that mildness alone is just the first step to protecting a baby’s delicate skin. Our aim is to go beyond mildness and ensure that the lost moisture is replenished, thereby providing superior care. 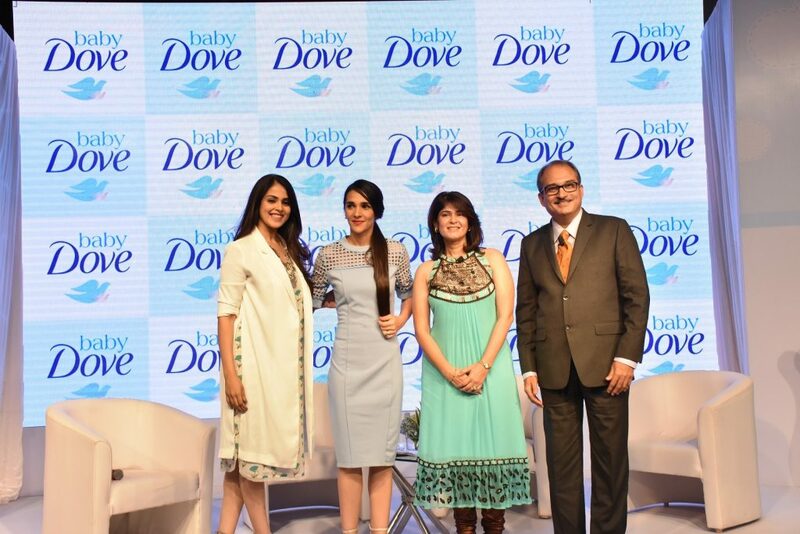 We strongly feel that the Baby Dove campaign resonates with moms globally, and we have set out to reassure moms that they know what’s best for their child.”Genelia Deshmukh unveiled the product range alongside mommy influencer Tara Sharma. Here’s what she had to say, “Being a loving mum of our two little kids, I am excited to find a brand like Baby Dove that shares the same beliefs as I do. I often say 'No one gets more advice than a pregnant woman and a new mum! It is important I think to trust one's maternal instincts and do what works for you and your child and family. Each child, each parent, and each family is different. Baby Dove says just this and they also advocate that one should not feel pressured to be a perfect mum as there are no perfect mums, only real mums!”Baby Dove: The Product RangeDove has built on its near 60-year heritage of moisture, mildness and care to develop cleansers enriched with its iconic ¼ moisturizing cream and patented technology to protect the skin’s natural barrier. This New Year, Get Ready For The Ultimate Surprise For Your Little One! This Product Has Helped My Baby Beat The Summer Heat! Baby skincare beyond just mildness: What does your little one’s skin really require?